State Police report they and MIT Police are trying to figure out who sprayed several rounds in the area of the Phi Beta Epsilon building, 400 Memorial Drive, sometime before 10 a.m on Tuesday. Read more. The Supreme Judicial Court today dismissed a wrongful-death suit by the father of an MIT graduate student who threw himself off the roof of a campus building, saying that while colleges do have some unique obligations to protect their students, there are limits to what they can be expected to do, in an age in which students, especially at the graduate level, expect to be treated as adults with rights, including that of privacy. Read more. Marshall Hansberry came across this coyote, acting all casual and stuff, by Eastman Court, outside MIT's School of Science today. He reports animal control arrived to assess the situation. Officials at MIT and UMass Amherst said today that high-school students shouldn't worry about their admission status if their high schools discipline them for walking out of class in anti-gun protests. 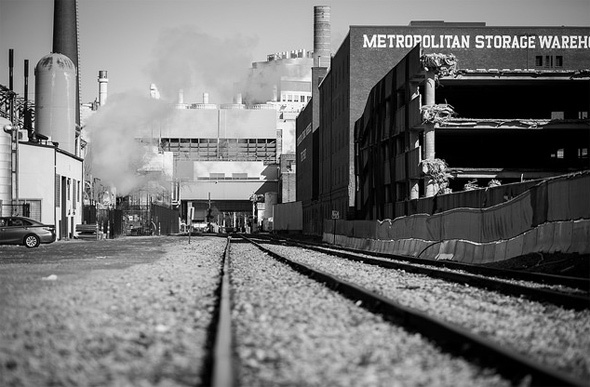 Nick Gillham walked along the train tracks near the old Metropolitan Storage building off Mass. Ave. Copyright Nick Gillham. Posted in the Universal Hub pool on Flickr. The New Yorker interviews Gar Alperovitz, one of the anti-war academics associated with Harvard and MIT who helped get the famous documents to the New York Times and the Washington Post (and other papers) even as they shuttled Ellsberg around Cambridge and Somerville apartments and motel rooms to keep him out of the hands of the FBI. 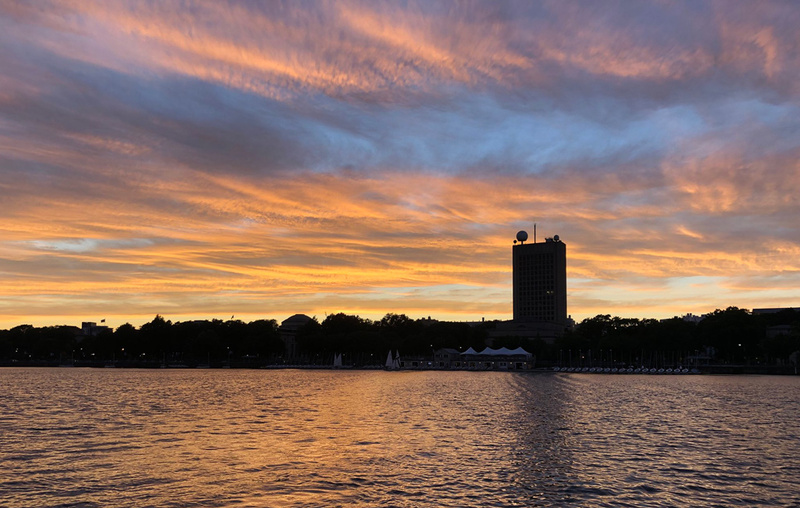 MIT said today it will replace its current Wright Brothers wind tunnel with a new, beefier Wright Brothers wind tunnel that will feature winds of up to 200 m.p.h., up from the current 150 m.p.h. and which could, among other things, aid in the development of new types of drones. Boeing is helping to fund the project to replace the current wind tunnel, which has been in operation for 80 years now. Josh Jacobs took a look at the all-electric concept car Lamborghini is building with MIT. Rather than sitting on top of large batteries, the car would be built out of carbon nanotubes that would double as batteries (the devil, natch, is in the details). An MIT fraternity on Bay State Road had to explain itself before the Boston Licensing Board today for an incident last month in which all non-residents were evacuated after police and fire inspectors found too many people inside, a two-story shower-head waterfall was drenching a marble staircase, and a kid popped open a can of Bud Light. Read more.